The New York City 7 subway train, all 11 cars, all 27 concurrent trains on the tracks, is a predictor of the face of America for the next 50 years. Forget the demographics, the census and the experts. For a $2.50 fare, take a ride on the “international express” to get a real look at American today and tomorrow. 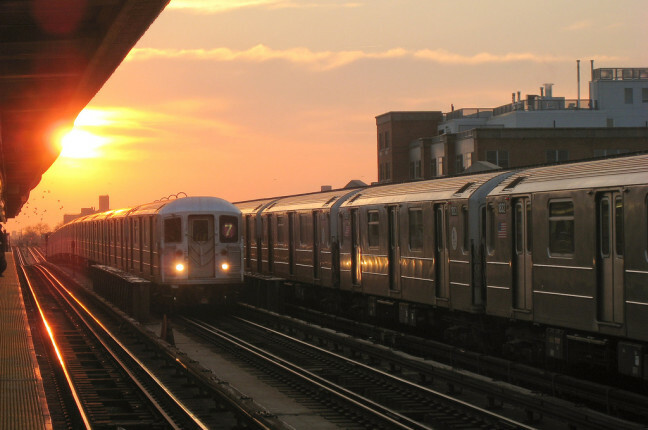 If you are a baseball fan, you may be familiar with the 7 train; either because the next to last stop is the stadium where the NY Mets dreadfully play, or more notably the train that baseball player John Rocker mocked in 1999. Specifically he said, “The biggest thing I don’t like about New York is the foreigners. You can walk an entire block …. and not hear anyone speaking English. Asians and Koreans and Vietnamese and Indians and Russian and Spanish people … how the hell did they get in this country?” John, welcome to your new America!!! On my most recent 7 train journey, I noticed I was the only Caucasian amongst about 100 other passengers in the car. Additionally, none of us have a newspaper but a majority of us are searching for a signal on our smart phones. 50 years ago, albeit with newspapers in hand, the ride on the 7 train would have had a similar ethnic flavor. However, the returning workers from Manhattan to Queens would have been Western European immigrants or second generation Americans. This has changed dramatically, not just from 50 years ago, from the most recent census from 2010 showing incredible changes. The Western European faces on the 7 train are long gone. By 2000, they were slowly being replaced with immigrants from Hispanic and Asian countries. This change was slow and steady, similar to the way the 7 train rumbles through its Queens stops in Long Island City, Sunnyside, Woodside, Jackson Heights, Corona and Flushing. By 2010, the rumbling became a roar. Woodside has become known as “Little Manilla”, Jackson Heights “Little India”, Flushing has become New York City’s largest Chinatown, Sunnyside is populated by immigrants from Ecuador. Additionally, first generation Americans from Brazil, Bangladesh, Jews from Uzbekistan, Columbians, Venezuelans, and Koreans now crowd the 7 train. As the international express shuttles immigrants home from a long day of work in Manhattan, these folks rush home for their ethnic dinners. Turkish pizza, Ramen, Filipino cuisine, Thai, Indian Samosas, Hispanic pollos a la brasa, tacos and Chinese wontons in chili. The options are endless. One most interesting statistic about Queens is that there are over 80 McDonald’s restaurants located in these ethnic areas. As a business owner, I think this is very telling as you map out your strategy for penetrating these exploding markets. Immigrants today will also identify themselves primarily from their country of origin. They continue to live with their fellow countrymen, having family traditions the date back centuries and celebrate their religious and culinary differences. However, remember the McDonald’s statistic. Immigrants today are assimilating very rapidly. They are on their own express train, but they continue to make ethnic “stops” along their journey. To approach these markets as mainstream America is a mistake… and, perhaps equally important I would also advise against approaching them as immigrants. There’s a balance. To understand it, I suggest catching the local to Flushing.